"Current coaching﻿ practi﻿ce should be based on"
"Tradition, intuition and emulation of scientific research on improving performance"
Professional and recreational soccer have become such a big business, research studies to develop better fields, stadiums, shoes, uniforms, training methods, training equipment, players, safety equipment, training facilities and programs have for the last 7 years been growing at a rate of 20% per year. And this excludes the rapidly growing number of University Masters and Doctoral Thesis in soccer being published worldwide each year. 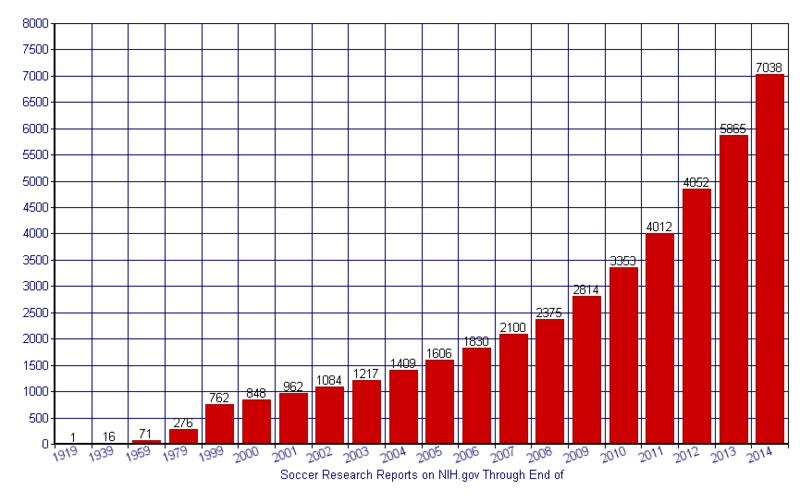 Every month well over a hundred soccer research studies are published. While most confirm and contribute to previously published studies, every month some new studies make contributions for the good of the game. Soccer Game Sense reviews recently published research studies for includes information for site visitors.